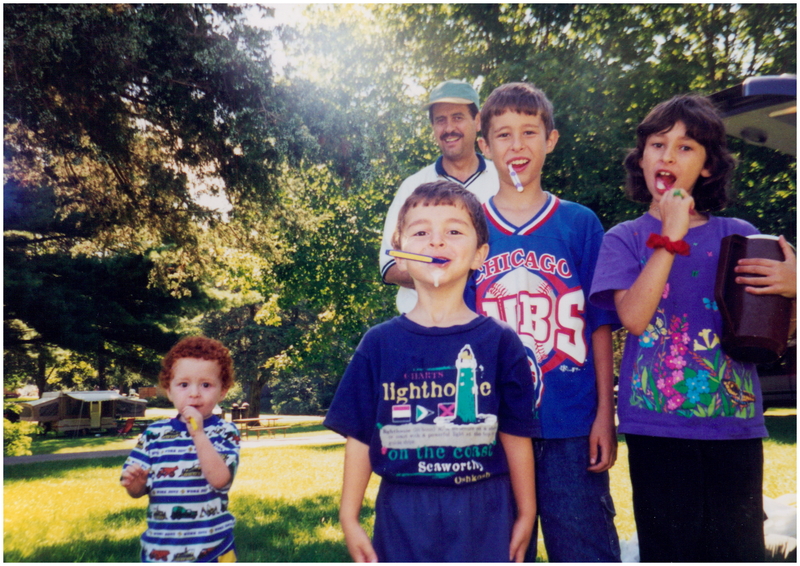 The picture you see is my family celebrating an Eid camping trip after Ramadan in 1998. The red, curly haired, very Caucasian peanut just secured his driver’s license today, and he is a towering 6 foot, 2 inch (183 cm) tall Muslim. 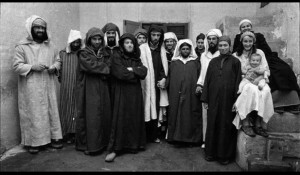 Typically, the image that comes to American’s minds is that a Muslim is Arab or perhaps Asian, although a large proportion of Muslims are in fact from African descent. I believe this is significant to how we tend to value the lives of Others, and in particular to the political perspectives and policies toward the Middle East and Central Asia in general. What should be known is that anyone can be Muslim. It is not an ethnic or nationalistic reference; rather it is simply a comprehensive religion on the continuum antecedent from Judaism and Christianity that guides the lives and identity of about 1.6 billion people (23% of the world’s population), according to a 2012 Global Religious Landscape report from the Pew Research Center. Most disconcerting though is a more recent Pew Research Study referencing How Americans Feel About Religious Groups. The study was conducted May 30-June 30, 2014, and cites feelings towards religious groups on a scale of 0 as cold to 100 as warm. A 50 would reflect no particular positive or negative feeling about a religious group. In this report, prior to the Gaza spectacle, Muslims were dead last compared to all other groups, including Atheists. Forty-One percent of respondents placed scores of 33 or below for Muslims, which I find pretty sad and perhaps not representative of where I live. Fortunately for my family, we live in a relatively affluent suburban Chicago setting with an abundance of educational institutions, houses of worship for many religions, and a fairly large non-segregated population of Muslims. Many of them hold advanced degrees and professional employment. In retrospect, I noted that when the U.S. economy took a hard pullback a few years ago, it seemed that store clerks were friendlier than they’d been in the past. Looking around the malls, I found a greater percentage of Muslim patrons making purchases than other shoppers. Maybe the cashiers were the first ones to realize the value of Muslim purchasing power. Even yesterday, I was acknowledged with a smile and friendly “Hi there!” initiated by non-Muslim women in two separate incidents while walking through parking lots at the local community college and at Whole Foods Market. I felt hopeful that the gloomy implications informed by the Pew reports were not representative of every part of the United States. 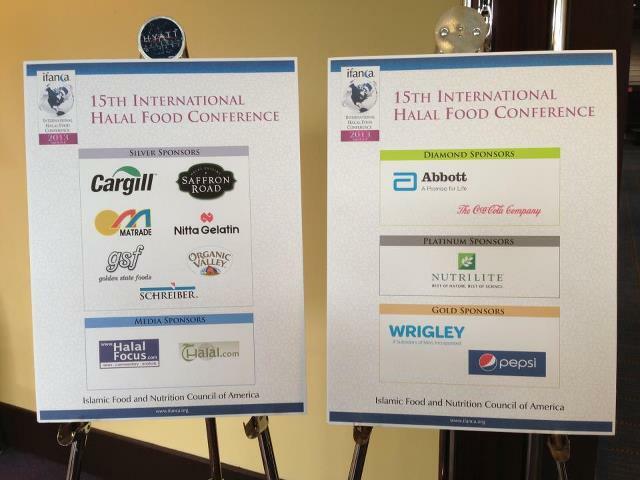 Food bridges diverse cultures effectively, and it forged bonding at the International Halal Food Conference, hosted by the Islamic Food and Nutrition Council of America (IFANCA) April 6-8 at the Hyatt Regency Hotel in Rosemont, Illinois. The event brought a multinational array of corporations; among them were Abbott Nutrition; The Coca-Cola Company; Amway-Nutrilite division; Wrigley-subsidiary of Mars; PepsiCo; Cargill; American Halal Company; Organic Valley; McDonald’s Corporation, and others lesser known to the public but that have products used by other companies in their formulations. Several dignitaries from the governments of Indonesia, Malaysia, Singapore, and food scientists, export agency representatives, entrepreneurs, and consultants, from the U.S., Canada, U.K., Belgium, Switzerland, Kuwait, U.A. E., Pakistan and India rounded out the program. The theme of Unity was iterated by several presenters who acknowledged that the former stance of protectionism and competition needs to be cast away in exchange for transparency, mutual support and cooperation. Attending the IFANCA conference were other Halal certifying agencies, and ISNA’s Ahmed El-Hattab called for a unification of Standards and formation of an ISNA Accreditation Board. IFANCA’s founder and president, Dr. M. Munir Chaudry, stated the objectives of the gathering included import/export requirements; introducing Halal entrepreneurship opportunities; presentations on animal welfare; and advice of food safety and security. 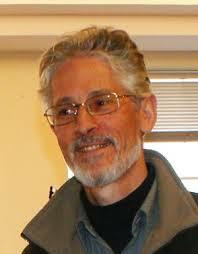 Naming brands of their certified products, Cabot Cheese; Baskin Robbins; and Tom’s of Maine, he expressed that although there are 8 million Muslims in the U.S. and 1 million in Canada they are not visible, even though they represent $18 billion in purchasing power. Of the $8-9 billion in Kosher food sales, nearly $3.5 is bought by Muslims, and in Whole Foods supermarkets the Saffron Road line is first in frozen entrée sales. Within the larger sphere of grocery stores, the brand is 6th as it enjoys 250% growth. Success has been achieved through synchronized social media with print, online, retail merchandising, and extending to the blogger community. In the realm of Halal foods, 35% of sales are processed foods and 10% in meats, according to Mian Riaz, PhD., director of food and protein at Texas A&M University. He stated that this is not a niche market anymore, and that 1.5 billion people eat ritually butchered food each day. A new development is the application of the term to the Finance industry. Evans explained, “What Islamic Finance needs to do is get more involved in the real economy.” His message was that investment and financing should not be sought for gain, but more for building the strength, education, and solid economic stability for all. Halal then becomes an asset class with indexed funds, venture capital, and micro finance. Emphasizing the need for unity, Hani Al-Mazeedi, Kuwait Institute of Scientific Research, expert in Halal quality, safety, and services, cited that the initial standards will be guidelines. Mark Overland, director of global certification at Cargill, Inc.— IFANCA’s Company of the Year—mentioned that his company has about 200 Halal certified plants out of their 800, based on consumer demand. None are in the U.S. His view is “We should recognize what consumers want, and then deliver that with integrity,” and he has echoed the sentiment for unity by advocating a council. Underscoring many speakers was the impression that business people, researchers, and religious scholars often have no concept of the realities of each other’s constraints. The current challenge is to establish trusting relationships, communication with good will, and efforts to find equitable solutions. Susan Labadi is project coordinator of the American Halal Association, president of Genius School, Inc.~A Professional Development Company, consultant for the ISNA Education Forum, and VP of ActionNet Trade, Inc.